Detective Pikachu Trailer Shocks with Amazement | Nerd Much? When news first broke that a potential Detective Pikachu movie was moving forward, most fans laughed it off. After the casting of Ryan Reynolds in the titular role, that laughter turned into curious skepticism. But having now watched today’s first Pokémon: Detective Pikachu trailer, I’m downright excited for this flick now. Today’s Detective Pikachu trailer does an incredible job showcasing a fictional world in which humans and Pokémon truly live side by side. There are still Pokémon in the wild, at one point we see a herd of Bulbasaurs running through a stream. But the main story takes place in Ryme City and it’s riddled with Pokémon that have been domesticated and intertwined with the routine of daily city life. It’s amazing how well done the portrayal of these animated “pocket monsters” was handled. Rob Letterman is the director on the movie, and he and his team have nailed the aesthetic. 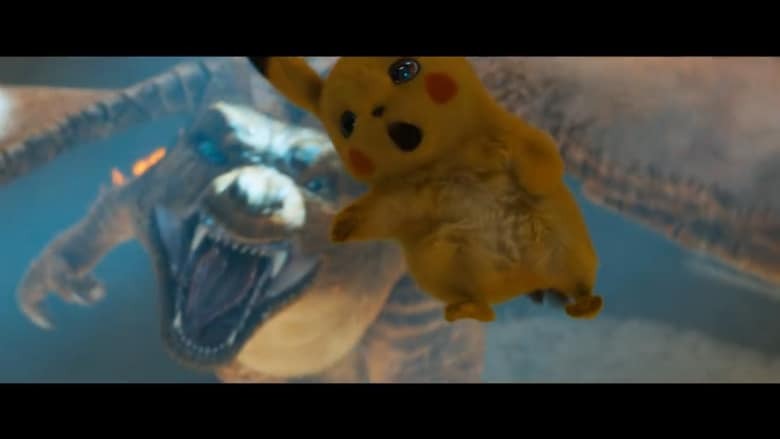 The tone seems great too judging by the first Detective Pikachu trailer. The movie looks like it utilizes Reynolds’ sarcastic charm well while still keeping it PG. And the use of other Pokémon throughout the world is spot on. Pokémon: Detective Pikachu is the first live-action Pokémon movie that’s been attempted. And it looks like Warner Bros. and The Pokémon Company have gone all-in on the project. It launches worldwide on May 10th. Tom and Jerry Movie, Other Hanna-Barbera Classics in Development at Warner Bros.